i guess yesterday i was totally a #bancidapur. my son current obsession with ayam goreng (fried chicken) made me try different recipes of various type indonesian fried chicken. 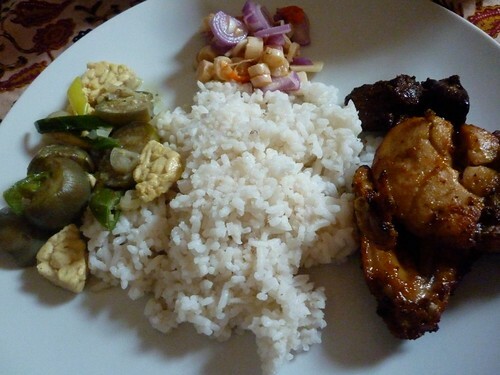 i try this recipe for ayam kalasan, basically modified it a bit by adding more spices. ayam kalasan is originally from kalasan area in sleman, yogyakarta. having that it has the typical jogja taste, sweet and savory. 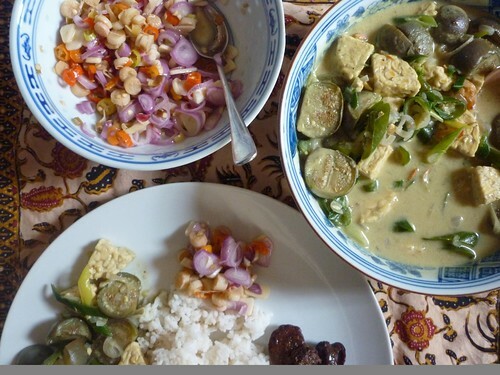 the chicken is fully cooked with coconut milk until it become very tasty and then fried. 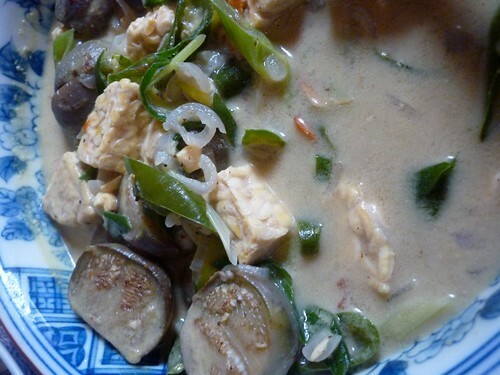 1. boil the chicken with coconut milk and other ingredients until you drain the water and the chicken become tender. left the sauce a little. add water if you have too. remove from pan and cool them. 2. fried the chicken in hot cooking oil. fry them until it color change to yellowish brown, make sure they are not to dry. remove and serve with hot rice. you can add tempe and tofu while boiling, boiled eggs. i add chicken liver on this one. 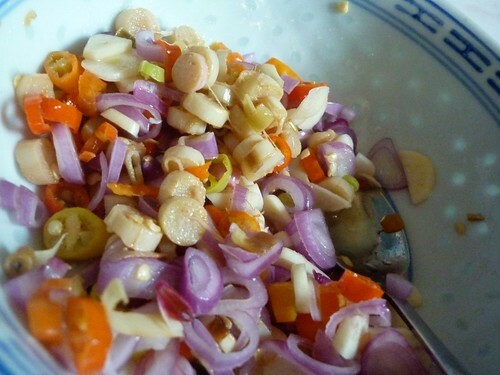 1. heat the pan, put in some oil, stir fry the red onions and green chilies. 2. put in the tempe and eggplant, stir fry them. next put in the nutmeg flower, salt, pepper and curry powder. 3. put in the coconut milk and water, stir them until boiling and wait until all cooked. put in the fresh green onions. serve. this recipe refer to the classic sambal matah recipe. prepare all raw ingredients until you are at the step of adding hot coconut oil. here you add the slices of ginger flower (the stick part not the flower), fried them with 3-5 tablespoon of coconut oil. then pour over the sambal matah. make sure you mix them with your hand, that’s the secret to this kind of sambal :) you have to have that touch.